Rescue fav, Vita Lotus 2 year old staffie girl, absolutely horrible prior life-rescued from a high kill shelter as a skeleton, tail hanging by two small ligaments, who had pretty much given up on life. Look at her now!! 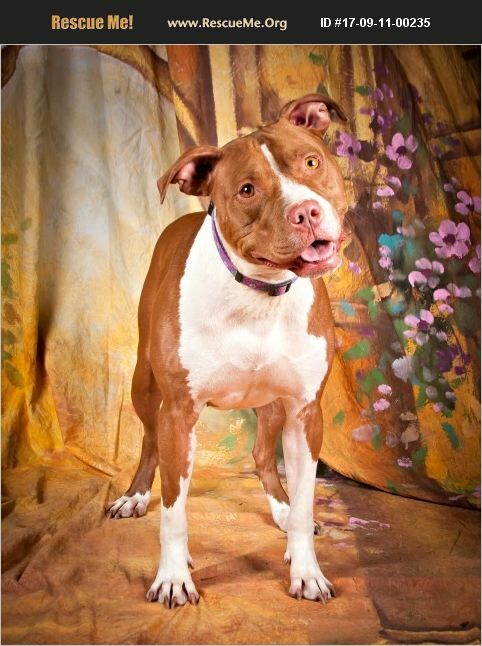 Fully vetted-spayed, perfect body weight, fully vaccinated, on all preventatives. LOVES meal time, chewies and treats. Extremely active and pretty high energy. Would need a high fenced or privacy fenced yard for her. That is a must. Initially shy meeting new people. After very little time, she is a total love bug. She is petite, about 44 lbs, good on a leash, house broken, crate trained, loves car rides,. Dog friendly with the dogs she lives with but needs a slow and patient introduction to new dogs.NO first day, forced meetings for her. Sometimes plays a little rough so current dogs need to be dominant with her because she will submit. Ideally,she would be adopted in an only pet home at this time. She'd be a little much for young children so looking for a single, couple or family with older kids, active so she gets the exercise and playtime she needs. She is very special to this rescue and will only go to the absolute best home we can find for her.